The powerful nature of word of mouth recommendations was enough to convince Mr Lowe that Schnauber were the right people for the job. 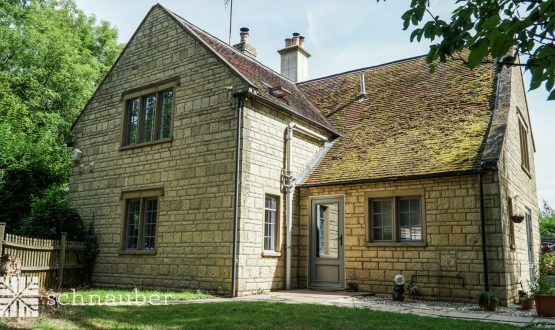 During the initial survey our technical consultant, identified that Mr Lowe had made a significant investment of both time and money into the standard and finish of his home. 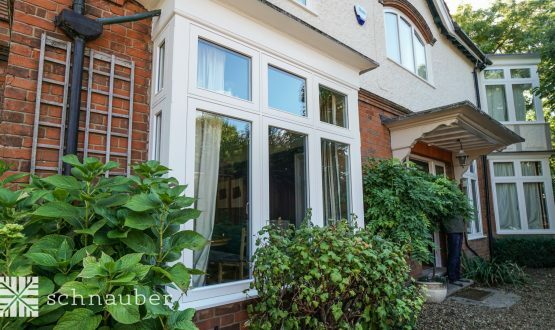 It was clear to our timber window expert that the bar was set very high and that the Schnauber team would need to comply with certain design features and aesthetics, both internally and externally. 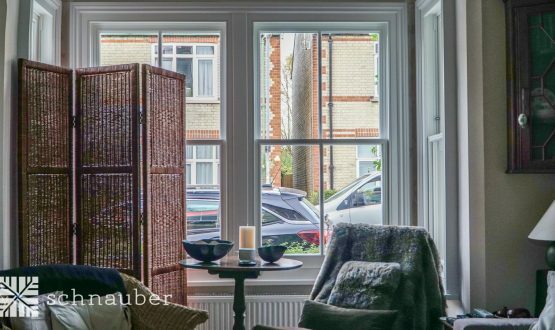 Whilst this was not an issue for Schnauber, who are continually producing bespoke solutions and operating at very high levels of technical expertise, it did impact the time taken to install the sash windows. The project took a total of 14 days from start to finish due to the detailed finishing required for the windows. Mr Lowe was very happy with the completed job. He felt the overall aesthetic of his property had been improved and he now had fully functional windows. Schnauber believe that the proof of customer satisfaction comes from whether the customer is happy to recommend you to someone else in their network. We are delighted to say that Mr Lowe has already recommended Schnauber several times and new business has been generated as a result of his positive feedback. The residents of Haddenham will be seeing a lot more of the Schnauber team and their van!